Most users of the source code probably don't need to have day to day access to the source code as it changes. Therefore most users will want to make use of our source release packages, which contain the complete source tree for each binary release, suitable for browsing or debugging. These source releases are available from our download page. 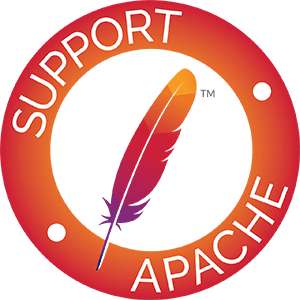 The Apache POI source code is also available as source artifacts in the Maven Central repository, which may be helpful for those users who make use of POI via Maven and wish to inspect the source (eg when debugging in an IDE). For general information on connecting to the ASF Subversion, repositories, see the version control page. NOTE: When checking out a subproject using subversion, either perform a sparse checkout or check out the trunk or a single branch or tag to avoid filling up your hard-disk and wasting bandwidth. If you are not a Committer, but you want to submit patches or even request commit privileges, please see our Contribution Guidelines for more information. The master source repository for Apache POI is the Subversion one listed above. To support those users and developers who prefer to use the Git tooling, read-only access to the POI source tree is also available via Git. The Git mirrors normally track SVN to within a few minutes. The official read-only Git repository for Apache POI is available from git.apache.org/ . The Git Clone URL is: git://git.apache.org/poi.git and Https Clone URL: https://git.apache.org/poi.git . Please see the Git at Apache page for more details on the service. In addition to the git.apache.org repository, changes are also mirrored in near-realtime to GitHub. The GitHub repository is available at https://github.com/apache/poi . Please note that the GitHub repository is read-only, but pull requests sent to it will result in an email being sent to the mailing list. A Git-formatted patch added to Bugzilla is generally preferred though, as it can be tracked along with all the other contributions. Please see the contribution guidelines for more information on getting involved in the project. Git provides a nice functionality "git-svn" which allows to read the history of a Subversion repository and convert it into a full Git repository. This will keep information from the SVN revisions so that the Git repository can be updated with newer revisions from Subversion as well as allowing to push commits from Git "upstream" into the Subversion repository. See the official documentation for more details. Running without --revision from:HEAD will run for a long time and will retrieve the full version history of the Subversion repository. If you need more repository history, change the from revision to an earlier release or omit the --revision specifier altogether. When this finishes you have a Git repository whose "master" branch mirrors the SVN "trunk". See below for some common usage hints. This will fetch the latest changes from Subversion and will rebase the master-branch onto them. Note that usually all commits on master will be sent to Subversion in one go, so it's similar to a "push" to another Git repository. The dcommit may fail if there are newer revisions in Subversion, you will need to run a git svn rebase first in this case. You should not develop on master, rather use some branching concept where you do work on sub-branches and only merge/cherry-pick the changes that are ready for being sent upstream. It seems to work better to constantly rebase changes onto the master branch as this will keep the history clean compared to the SVN repository and will avoid sending useless "Merge" commits to Subversion. # also set the working branch to the latest state from SVN. Sounds like too much work? Put these steps into a small script and all this will become a simple poiupdate to get all branches rebased onto HEAD from Subversion. Code quality reports for Apache POI are available on the Apache Sonar instance. Sonar provides lots of useful numbers and statistics, especially watching the project over time shows how some of the indicators evolve and allows to see which areas need some polishing.